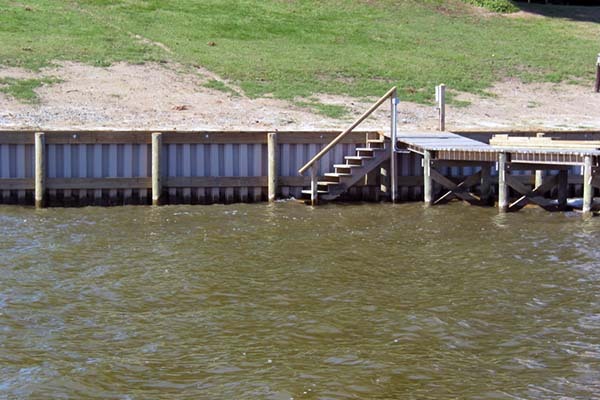 Vinyl Sheet Piling | Wood Preservers Inc.
We stock and distribute both the C-Loc® and ShoreGuard® complete product lines of vinyl sheet piling for construction of marine bulkheads, jetties and groins. The ease of vinyl sheet piling installation gives the contractor a reliable building product that makes for a clean and crisp waterfront structure. Vinyl sheet piling are engineered products with specific design values that allow you to select the specific product that you need for your structure. C-Loc and Shoreguard vinyl sheet piling are made from high quality, UV resistant materials that will not rust, rot, decay, or corrode in the marine environment, while at the same time providing unsurpassed stability and weatherability for your marine structure. C-Loc and Shoreguard vinyl sheet piling offer the end user a 50 year written warranty direct from the product manufacturer, Crane Materials International, (CMI). As a distributor for CMI, we also offer the ArmorWare® product lines of seawall caps, wales and tie rods to enhance your seawall. ArmorWare caps and wales give your seawall a sleek and stylish appearance to enhance your waterfront property. ArmorWare tie rods are galvanized steel rods that have and additional impervious polymer coating, that will not rust, crack or corrode, over the exposed end. A relatively new product line introduced by CMI is Timberguard® polymer protected wood. 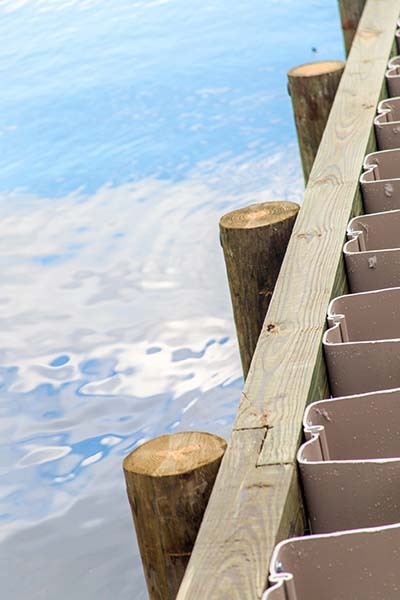 Timberguard offers an added layer of protection to the treated wood by coating the piling and/or timbers with a polymer to help protect your waterfront investment. For those demanding waterfront jobs in tough and strenuous applications we offer GeoGuard® UltraComposite Sheet Piling. The GeoGuard product line from CMI offers fiber reinforced polymer sheet piling for those challenging jobs. For complete engineering data on all of the sheet piling and product lines offered by CMI, please visit the engineering section of CMI's website. This website will also give you information to use in designing the wall for your specific site and on service life, deflection, hydraulic performance, strength ratings, installation, specifications and warranties on all of the CMI's product lines. For more information, or a quotation on your specific project please do not hesitate to contact Charlie, Doug, Cindy, Peyton or any of us at Wood Preservers with any questions that you may have.